Matt is part of the team that leads Emmanuel at the Clarendon Centre, focusing on supporting the many families who attend the church. 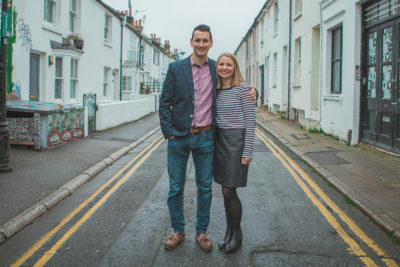 Matt and Catherine met at Sussex University in 2008 and since then it’s been a caffeine-fueled voyage of discovery! They love trawling the city’s second-hand bookstores whilst nursing a cup of coffee. Catherine’s an avid reader whist Matt’s holding an unfinished novel on his computer which one day (he hopes!) he’ll get round to completing. When they’ve not got their heads in a book, they’re down the beach with their 2 year old son; roll on summer!